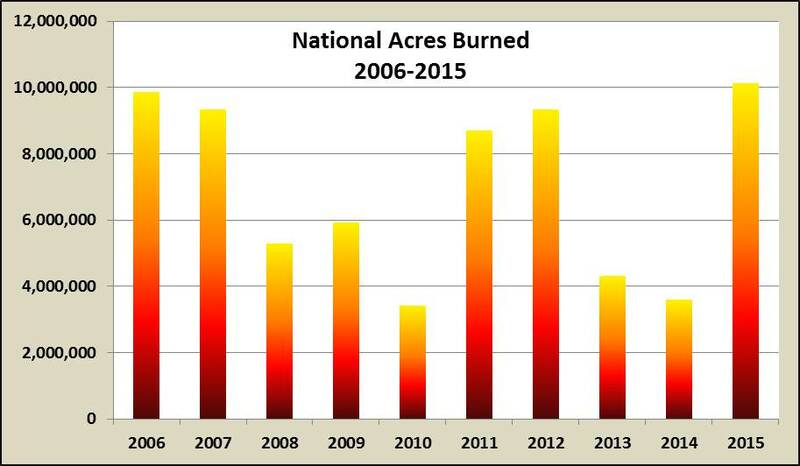 The US National Interagency Fire Center just updated its annual totals for fires and acres burned for 2015. As of December 30, the total fires were 68,151 which consumed 10,125,149 acres . 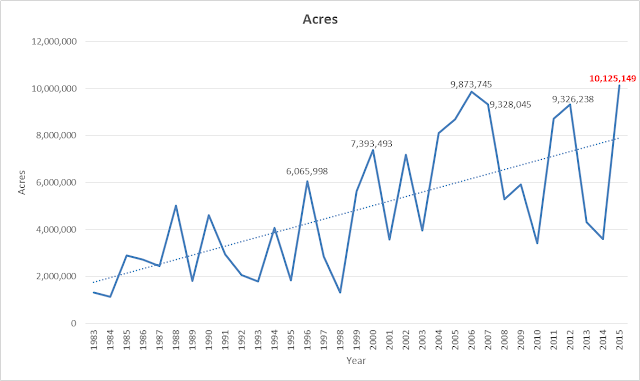 This new record is 251,404 acres more than the prior set in 2006. For comparison, the 2015 fire area burned almost equals Massachusetts, New Jersey and Rhode Island combined, or an area larger than Switzerland. Most acres burned in Alaska, a total of 5,146,541 acres or almost 51% of those reported. A Nasa image from September 1, 2015 reveals the scars. 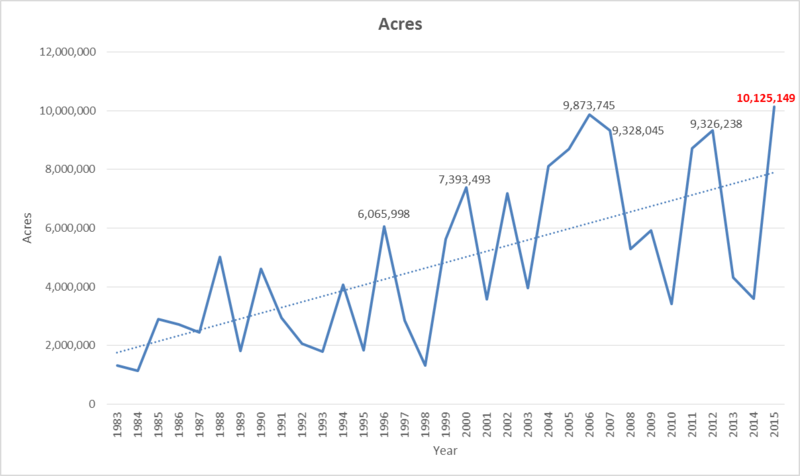 The trend for increasing acreage torched is even more pronounced from 1,323,666 in 1983 to 10,125,149 in 2015 - a 764% increase in 32 years. It means we have experienced millions of tons of black carbon or soot, CO2 and methane being released into the atmosphere from US fires alone, which added to the acceleration of warming in the near and distant future. We have experienced more forest and tundra being changed from carbon sinks into sources for green house gases. 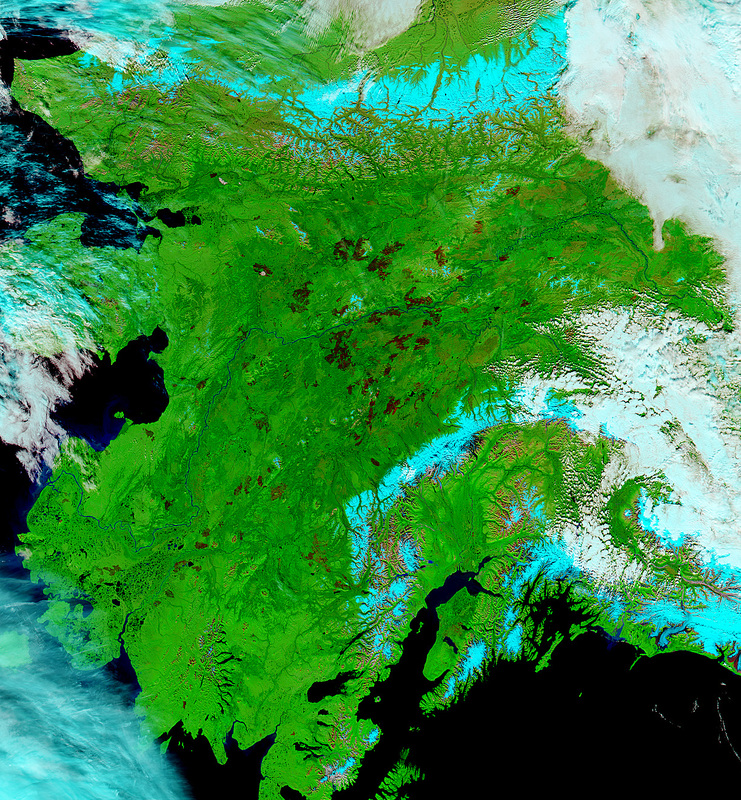 More permafrost is being exposed to warming in future years as peat rich soils are scorched away. The Alaskan fires are becoming more severe. A 2011 article, “Recent Acceleration of Biomass Burning and Carbon Losses in Alaskan Forests and Peatlands” in Nature Geoscience, stated the implications well. Figures prior to 1983 may be revised as NICC verifies historical data.